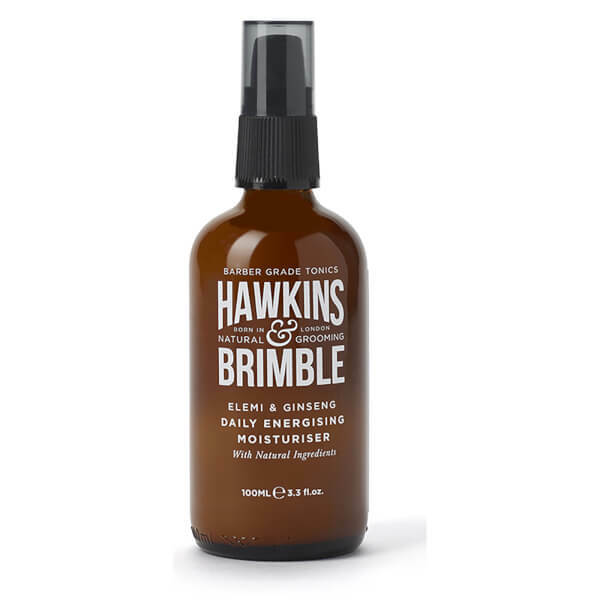 Revitalise skin’s overall health and radiance with the Hawkins & Brimble Natural Daily Energising Moisturiser; a luxurious, rapidly-absorbing hydrator that delivers a daily, nourishing boost for a luminous complexion. Saturating skin in a nutritive blend of polyunsaturated fatty acids and antioxidant-rich Vitamin E to revive dull, lacklustre skin and rebalance pH levels is a fortifying duo of Avena Sativa Kernel Oil and Oatmeal Extract, whilst Ginseng helps to brighten and Caffeine Powder kicks healthy renewal up a few notches. Expect a complexion that appears instantly refreshed with improved clarity and restored luminosity. 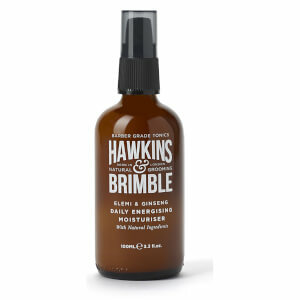 Free from parabens, colourants, SLS/SLES and mineral oils. For best results apply one to two drops of the cream to cleansed, dry skin. Using your fingertips massage evenly across the face. Aqua (Water), Propanediol, Cetearyl Alcohol, Tapioca Starch, Caprylic/Capric Triglyceride, Glyceryl Stearate, Cetearyl Glucoside, Phenoxyethanol, Parfum (Fragrance), Avena Sativa (Oat) Meal Extract, Butyrospermum Parkii (Shea) Butter, Glycerin, Avena Sativa Kernel Oil, Caffeine, Ethylhexylglycerin, Tocopherol, Tocopheryl Acetate, Sodium Hyaluronate, Panax Ginseng Root Extract, Linalool, Limonene, Citric Acid, Benzyl Salicylate, Coumarin, Potassium Sorbate, Sodium Benzoate.